ימין ד' הרוממה, מעוז החסד ההולך ומתגלגל בעולם, ויסוד המגמה של כל ההויה כולה, כי עולם חסד יבנה. אמנם הימין יש לה גודל וקוטן. הקוטן של הימין, הוא כשהחסד הוא נערך לפי איזו מדה מצומצמת של מקבל החסד, עד כמה שיוכל שאתה, אבל גדולת החסד היא מדת החסד הנותנת רב טוב יותר מכדי המדה של המקבל, ואם לא יוכל שאת רוב הטוב, אז החסד הוא גדול כ"כ, עד שמשפיע הוא מטובו ג"כ יכלת ואמץ להכיל את קבלת הטוב והחסד. ברוך ד' יום יום יעמס לנו, שהקב"ה נותן כח בצדיקים לקבל טובתם )סנהדרין ק) אמנם גדולת הימין, שהיא כבר בפעל, היא קשורה באיזו מדה ממדות העולם המוגבל, ואע"פ שינתן כח לקבל הטובה סוף כל סוף איזה קישור ואיסור יש כאן, מצד מצרי העולם והגבלותיו התכוניים. אבל כחו הפנימי של החסד, של גדולת החסד, הוא בעל כל האפשריות כולן, ואין שם שום דבר האוסר והקובע הגבלה למדת העלוי, הטוב, האור והחפש הקדוש, שלא יתפשטו בכל המרחבים. ולמטרה עליונה זו, של התפשטות הטוב האמתי, אור ד' והשכלת אמתו, נעם טובו, וענג יפעת תפארת גדולתו, בלא שום הגבלה, בלא שום מעצור, לא לפי מדת המציאות הפעלית, שיצאה ירודה ומצומצמת, אלא לפי מדתה העליונה של תכונת הכח העליון, שאין בו שום הגבלה, שום אי אפשרות, ואור השכינה יאיר באור אין סוף בלי מצרים. אנא בכח גדולת ימינך תתיר צרורה. RGG clarification: Chesedis often translated as “kindness” but is more accurately translated as “expansiveness.” Chesed,associated with the right hand, interacts with gevurah-restraint, associated with the left hand. 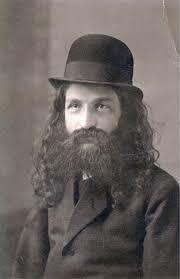 RGG clarification: The ideal in all situations is chesed. Ideally, we’d be able to fully express ourselves and fully give, fully give the benefit of the doubt, fully expand into each moment. Restraint only happens out of necessity. Rav Kook translation: But there are two ways that the right hand expresses itself. It has both a vastness and a limitedness. The limited component of the right hand manifests when the chesedis calibrated according to some limited dimension of the receiver of the chesed, [therefore providing] only as much as the receiver can bear. RGG clarification: Sometimes that chesedis conceived, designed, and imagined with the receiver in mind, with a particular mind toward giving what the receiver can “handle.” This is the limited aspect of chesed. Rav Kook translation: The vastness of chesedis that aspect of chesedthat gives abundant good even beyond the dimensions of the receiver. And if the receiver cannot bear this abundant good, then the chesedis so expansive that it even confers the capacity and courage to receive that good and that chesed. RGG clarification: Vast chesedis so intent on giving of itself and of expanding to include the other that it will not be turned back by the limitations of the other. To continue to give in the face of such a limitation, it must “teach” the receiver to be able to receive more. Rav Kook translation: Blessed is God Who bears us every day, such that the Holy One gives strength to the righteous to receive the good that is coming to them. Rav Kook translation: However, even when the expansive component of the right hand is active, it is still tethered in some way to the dimensions of the world of boundaries. Even when the power to receive that good has been given to the receiver, still yet, there is still a sense of being tethered and restricted, because of the inherent limitations of the world and its characteristic boundaries. RGG clarification: Despite conferring to the receiver an ability to receive more, there are still some inherent limitations to receiving, because the receiver exists in the world of boundaries. Rav Kook translation: But the inner power of chesed, the vastness of chesed, contains all possibilities. Therefore there is ultimately nothing that can prevent its elevation, good, light and holy freedom from extending into all expanses. RGG clarification: Despite the inherent limitations of the receiver, the inherent expansiveness of the giver is the stronger force. that goodness certainly does not manifest according to the limited capacities of functional reality which emerged in a diminished and constricted state. Rather, it manifests according to the supreme capacities of the nature of this exalted power which has no limit, for which nothing is impossible. Please, with the power of the greatness of Your right hand, loose that which is bound up. אנא - “Please!” - we're begging You!